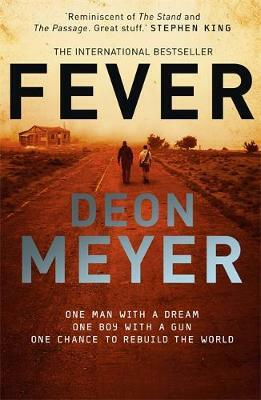 Deon Meyer lives near Cape Town in South Africa. Originally written in Afrikaans, his books have been translated into twenty-eight languages.Thirteen Hours was shortlisted for the CWA International Dagger and won the Boeke Prize in South Africa - the first time in the prize's 16 year history that a South African book has won. 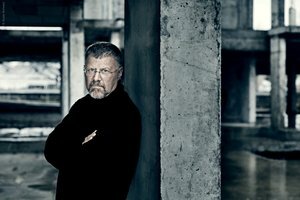 His novels have also won literary prizes in France, Sweden, Germany and the Netherlands, and the film rights to seven of his novels have been optioned or sold. Deon has also written two television series, and several screenplays for movies. In 2013 he directed one of his original scripts for the feature film The Last Tango. His new book, Fever, an epic standalone thriller, explores human relationships and resourcefulness and is also a poignant meditation on the love that rises from catastrophe: the love of a parent for a child, a child for his hero, a people for their country and the love of life. My grandfather had a big silver pocket watch. As I child, I would hold it to my ear, and listen to the tick-tick, and die of curiosity about what was happening inside. I would beg him to open it up and take it apart, so that we could solve the wonderful mystery that kept it working, as long as he kept it wound up. His answer was always the same: If we take it apart, we might not be able to put it together again. And what good would that do? It is better, he said, to not know, and have a working watch. Which pretty much sums up how I think and feel about the writing process. I honestly don’t know how it works. I’ve thought about it, I’ve speculated, I’ve tried to explain it, but it remains a mystery for the most part, a miracle of creativity’s springs and coils and gears that have kept on ticking so far, constantly wound up by life. However, there is one major difference between grandpa’s pocket watch, and writing a novel. The one just keeps on ticking effortlessly day after day, the other can be extremely taxing, frustrating, drive-you-up-the-wall difficult, and break your heart when you have to delete those last fifty useless pages, and start over again. Let me admit, the suffering is self-inflicted, because of the way I write: I always know how I want to start a novel, and I always have at least one vague but workable ending in mind. Deliberately vague though, because by far the best parts of the writing process are finding the right ending (when you get there), and discovering what lies between the intended beginning, and the to-be-determined ending. It is exactly as E.L. Doctorow described it: “Writing is like driving a car at night: you never see further than your headlights, but you can make the whole trip that way.” In which the headlights illuminate the next few chapters, but you can’t see beyond that right now. It is that process of discovery of the bulk of the book between the start and the finish which determines if it will be a tough grind, or not. The strange thing about writing Fever was that it happened to be the most fun I’ve ever had in working on a novel – almost eighteen months of just about pure joy, and intense enjoyment. So, I wrote two crime novels during that period, with Fever simmering in the back of my head. Which allowed me to collect more ideas, and contemplate more possibilities than any book before it. Perhaps it was the freedom of writing something outside the conventions and structure of crime fiction, the freedom to paint on a larger, more adventurous canvas, that was so much fun? There was also the fact that the research was so different, and utterly fascinating. It is my honest belief that writing is, in one sense at least, the process of making creative choices, and then living with the consequences those choices have on the story, and the characters. And that the biggest benefit of research is that it multiplies those creative choices, it gives you more options on where you could go on this car trip through the foggy night. In researching Fever, I had to think about where in Southern Africa I would take my nine-year-old son if we wanted to survive the world after the apocalypse. Not the sort of thing you get to contemplate when you write crime fiction. I also got to talk to some really smart and interesting people, about fascinating matters. Like the legendary South African ecologist, Dave Pepler, who taught me about the ‘texture’ human beings need to survive. Or the long conversations I had with my friend since childhood, the South African champion aerobatics pilot Clifford Lotter, who relished to opportunity to explain to me exactly what could go wrong if a Cessna single-engine plane had to fly on petrol that was going bad. Maybe it was just luck – the combination of characters such as the deadly Domingo, the troubled Nico, his optimistic dreamer of a father, and brave and determined Sophia who all conspired to make the book feel like a holiday. I honestly don’t know. And I don’t think I need to, at all. It is better to not know, and have a working watch story.